Guess who's back. No, not eminem: sorry to disappoint. Also sorry for being AWOL for almost a month. Too many things happened at the same time and I really needed some time away. So we missed a few freebie Fridays but we're back on schedule. Without further ado let me introduce this week's freebie. 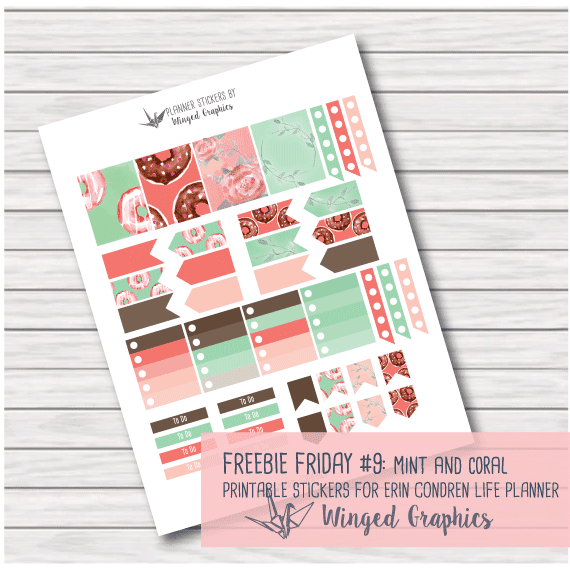 Frew Sticker Set for Erin Condren life planners in mint and coral. I like this color combination so much. It's so calm yet so fun.